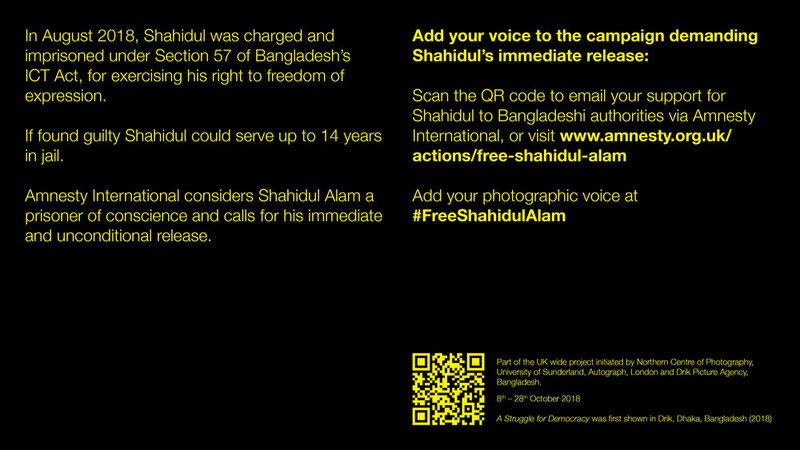 ‘Dr Shahidul Alam was arrested, tortured and imprisoned in Dhaka Bangladesh at the beginning of August. 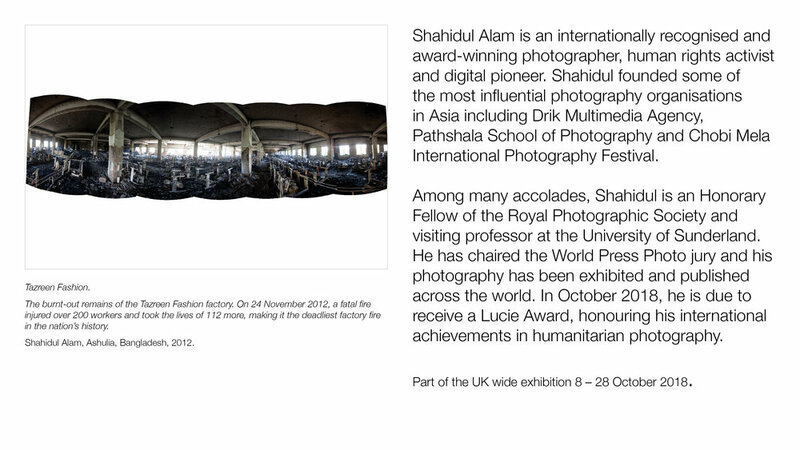 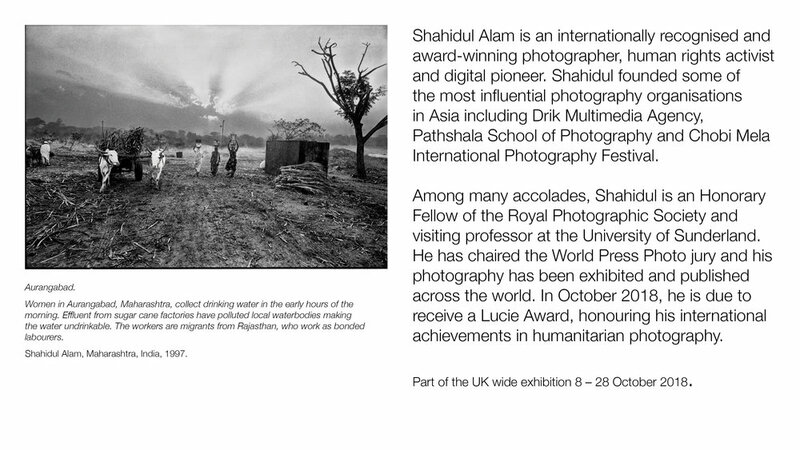 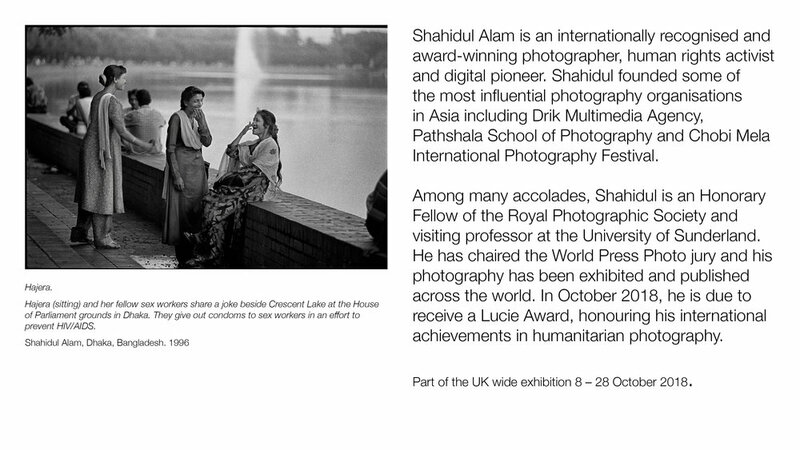 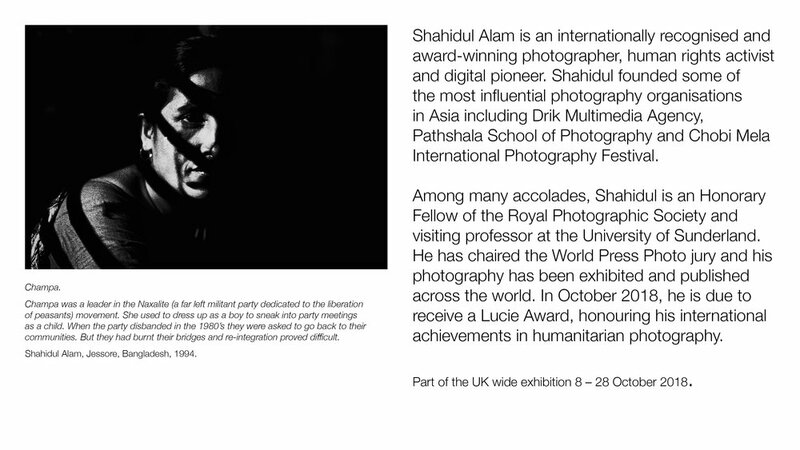 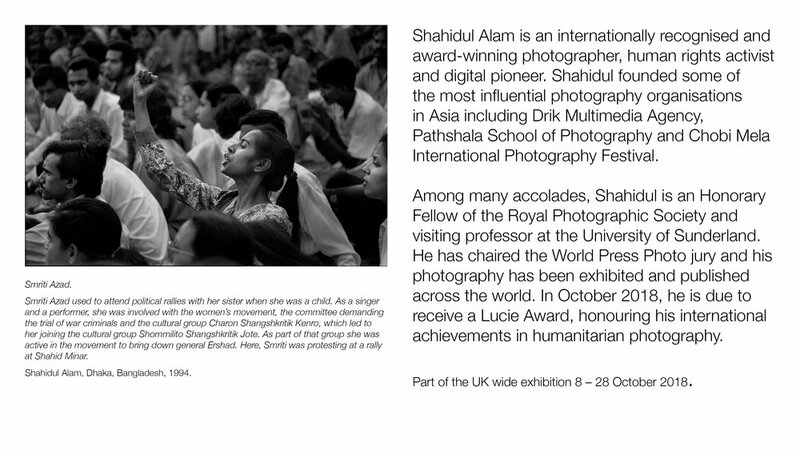 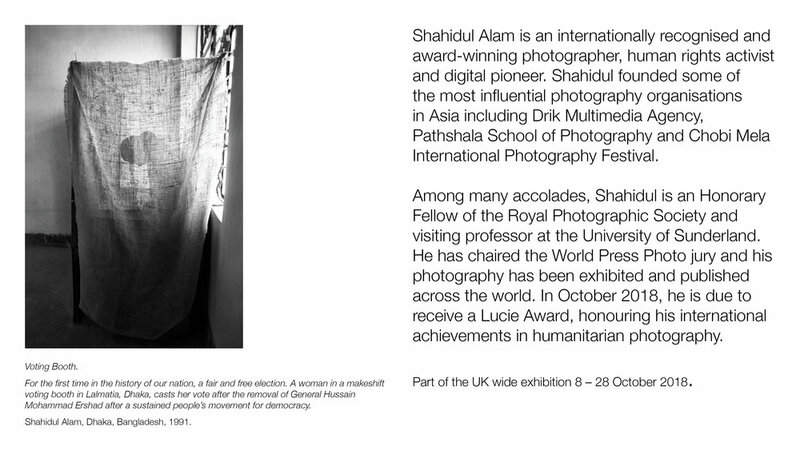 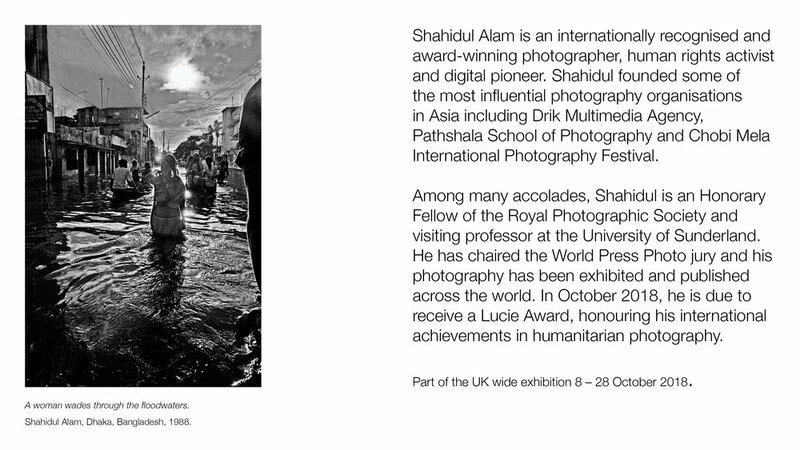 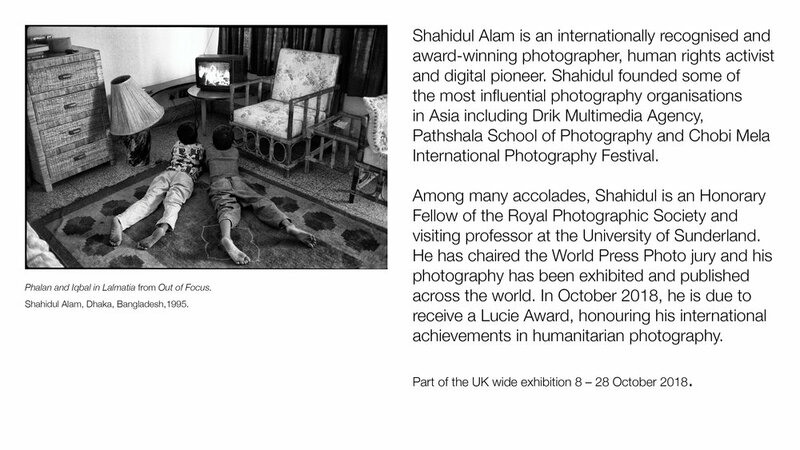 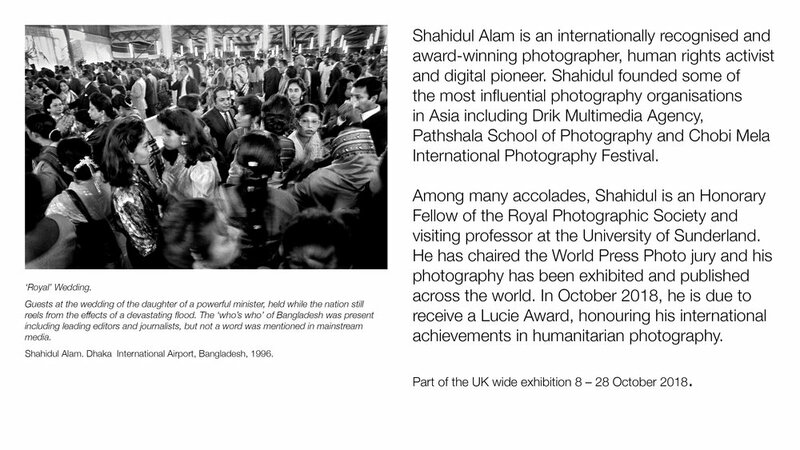 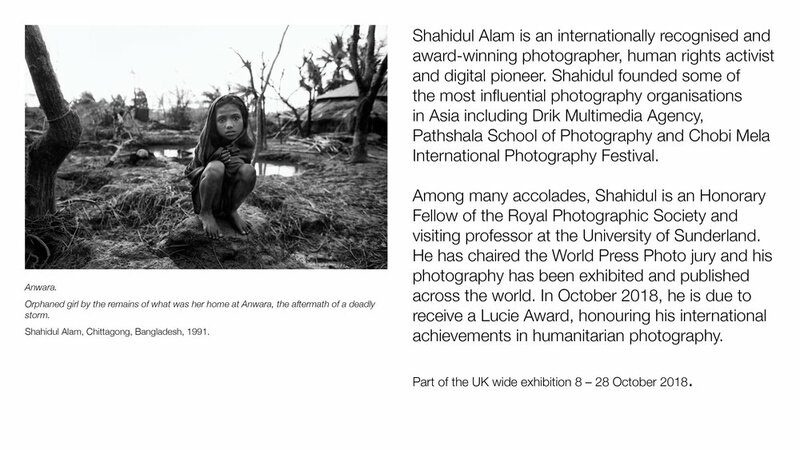 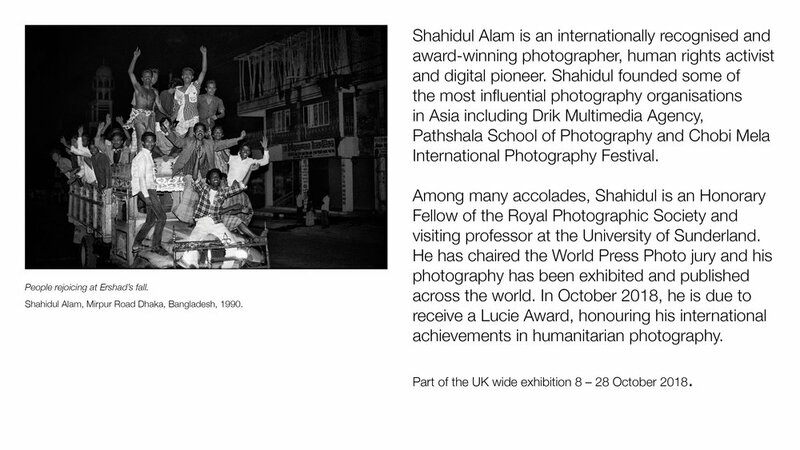 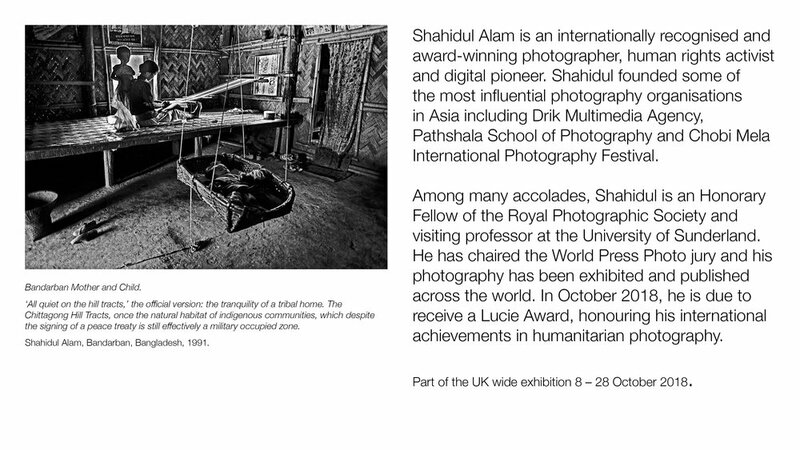 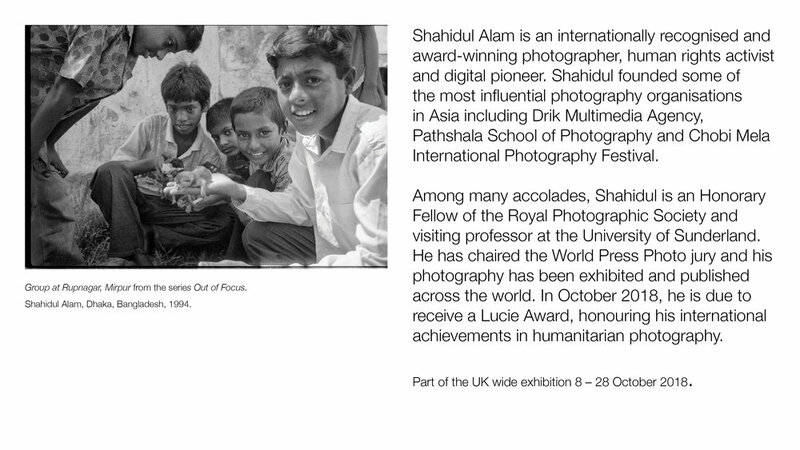 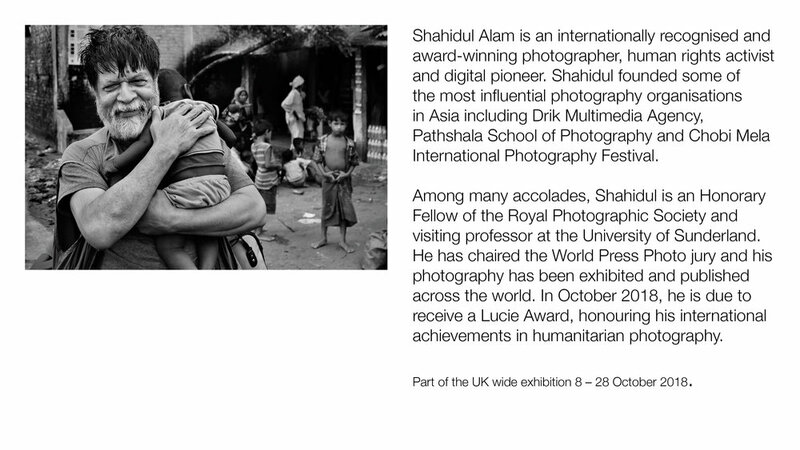 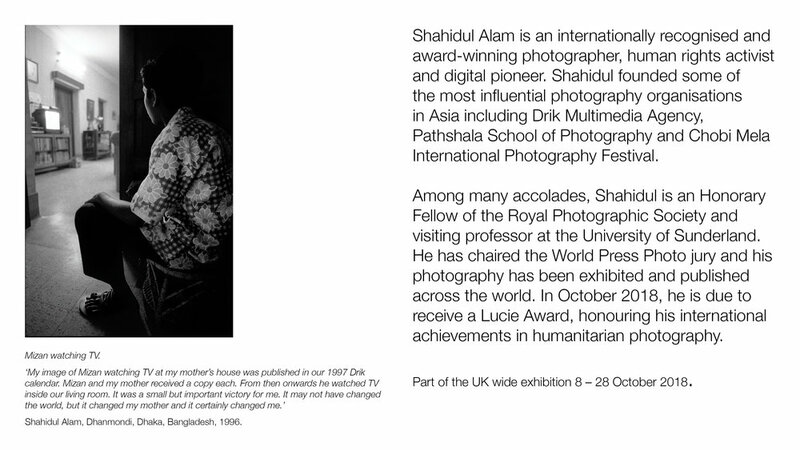 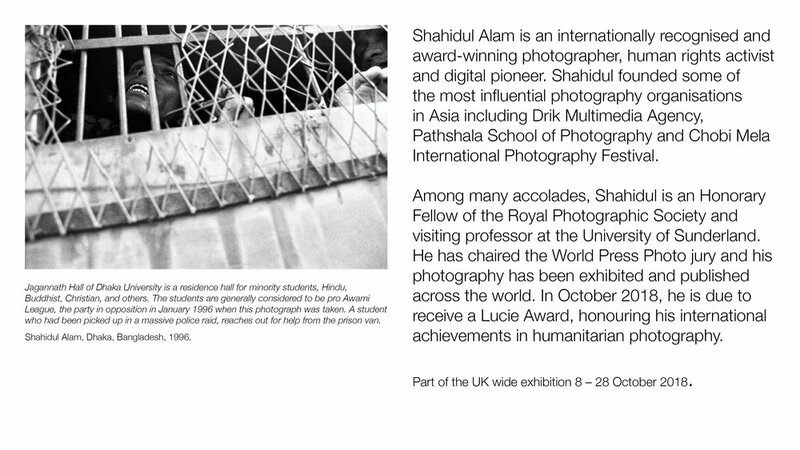 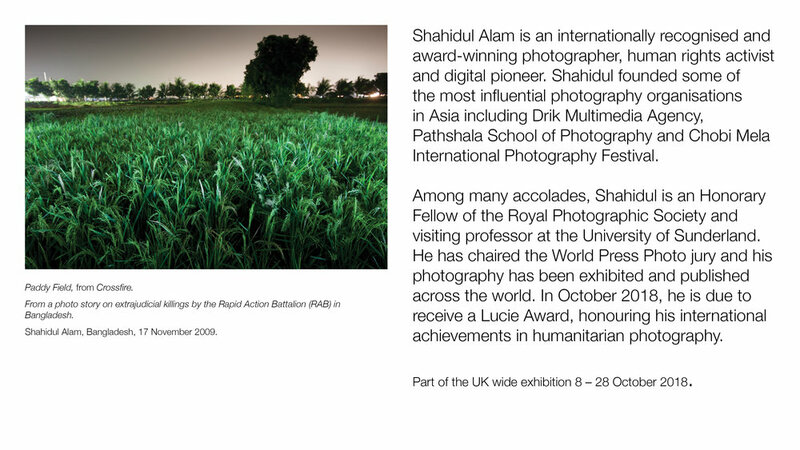 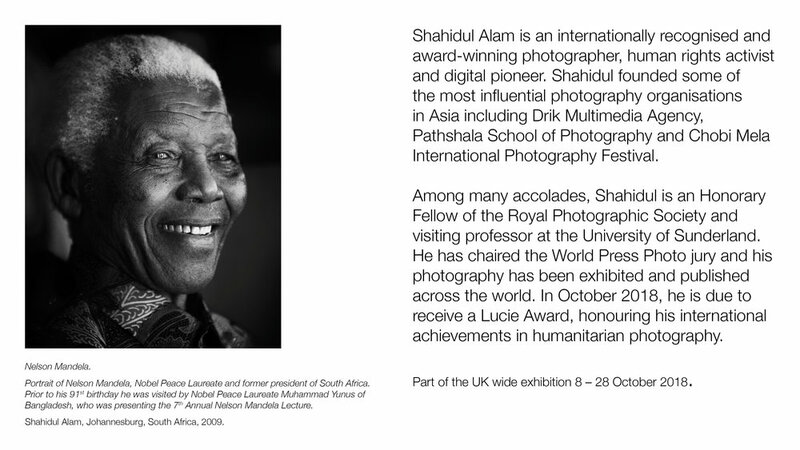 Shahidul is an internationally respected photographer, journalist and activist and a good friend and colleague to many of us working in the photography and the academic worlds here in the UK. 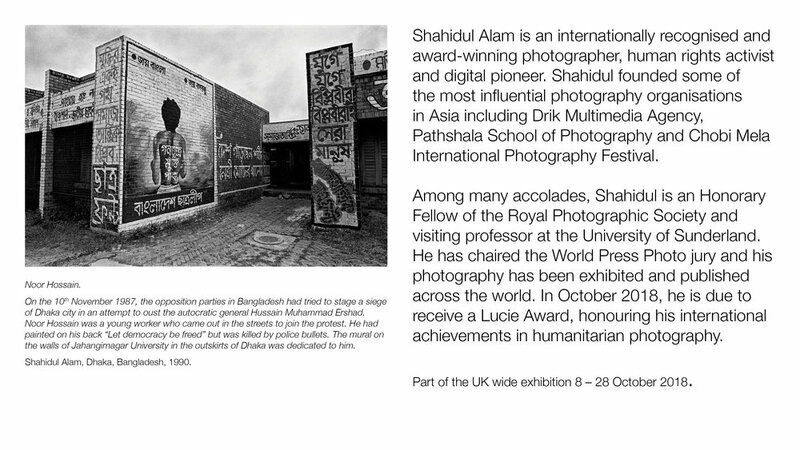 University of Sunderland, where Shahidul has been a visiting professor for many years, Autograph and Drik have proposed a mass exhibition of Shahidul’s work in support of the campaign to free him (#FreeShahidulAlam).